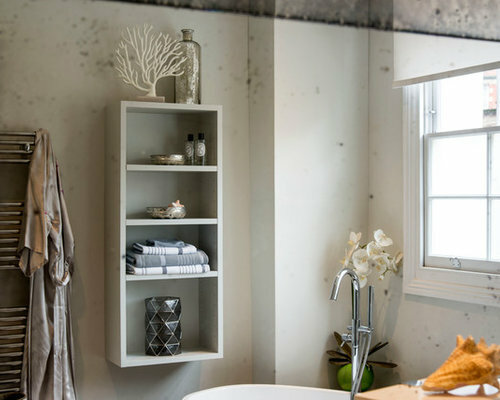 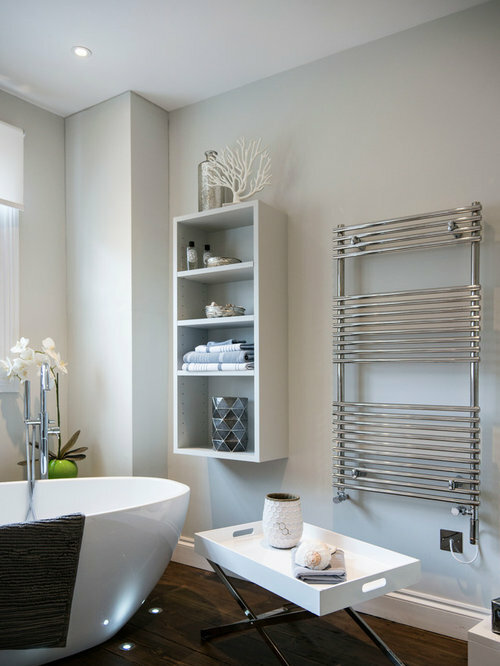 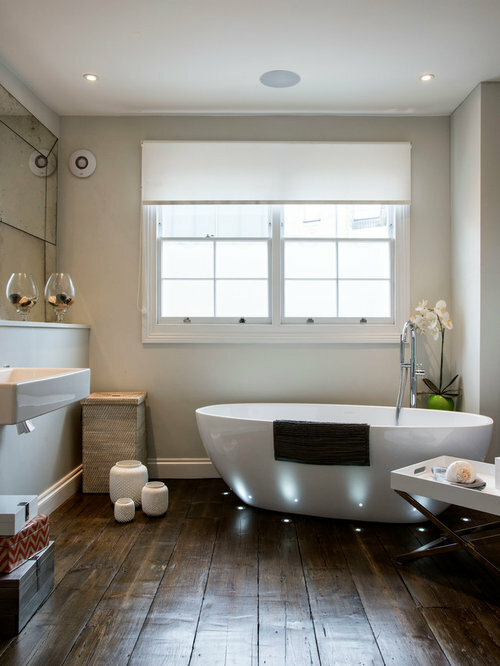 This is a five bedroom house off Regent Park, London The master bathroom was given a more contemporary feel while retaining some original features. 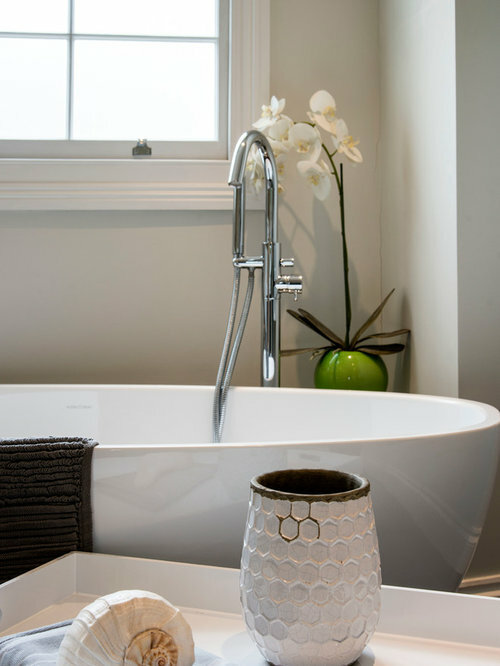 The bathroom is complementary to the master bedroom and feels like a room to bathe in, rather than a bathroom, if that makes sense! 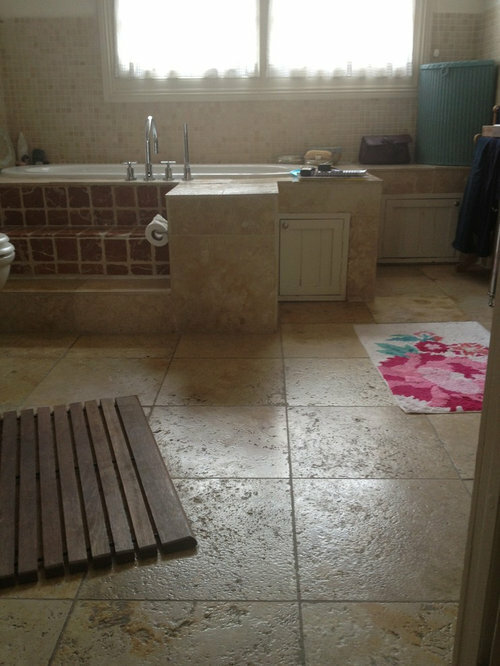 There are no tiles in this bathroom!